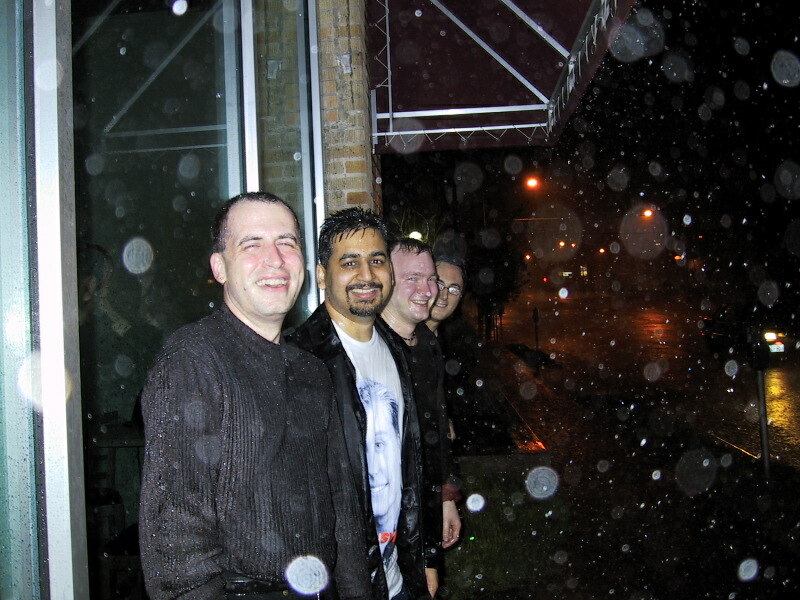 This photo was taken at the end of my very first South by Southwest Interactive in March 2001. A few of us had decided to walk to Katz’s deli late one night and during our walk it began to pour. By the time we’d made it to the restaurant, we were drenched but laughing like idiots. I’d made some genuine friends. Today I found out that Brad Graham (at the far left in the photo) has passed away. He was 41. Brad was one of the funniest, smartest and warmest people I have ever met. It seems unbelievable that he is not in the world anymore, and that I won’t hear his laugh again. I used to joke with him that he reminded me so much of comedian Paul Lynde, the old centre square on the game show Hollywood Squares. I hope that when I die, he will be sitting in the centre of the Bloggywood Squares and that he’ll be saving a seat for me. I’ve been looking through my old SXSW photos too. Man, we all looked like such BABIES back then. I remember that night. Almost a decade ago! Very sad about Brad – a remarkably kind person.